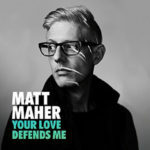 Eight-time GRAMMY® nominated artist Matt Maher released a new single, “Your Love Defends Me” in June 2017. We debuted it in our show last week and we’re pleased to share the official lyric video. The performance video will be released soon and we’ll post it when it becomes available. You can catch Matt in concert in August at “An Evening with Matt Maher & Audrey Assad” in Fresno, CA and headlines the AbbeyFest on September 16 in Paoli, PA.
We’re seriously crushing on the song “Ave Maria” from Matt Faley right now. It’s perfect for this month of May that’s dedicated to Our Lady, and this sublime video only makes it better. Check out his music at his website and pick up his music today at Amazon or iTunes. Check out Teresa Peterson’s new video for “He Makes All Things New”, from her debut EP “Freely, Fully”. She offers this song and video in celebration of the Feast of ‪Divine Mercy‬ in ths ‎Year Of Mercy. Teresa will be appearing in our fundraising pledge drive for Holy Family Radio, the producer of the Catholic Playlist Show. Catch her interview live, April 6 at 2:00pm Eastern using the streaming at our website here. Inspired by the Year of Mercy,”Coming Home” is about the Prodigal Son and God’s Forgiveness. 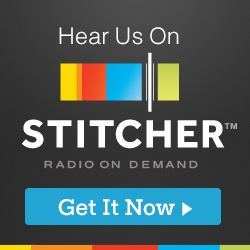 We’ll be putting this song into the next playlist show, episode #102 coming out tomorrow or Friday.